This post contains affiliate links. Thank you for supporting STC in such a tangible way! Praying for your marriage. Many wives or husbands do it when a relationship is teetering on crisis mode, or when a spouse has broken their heart. Some pray for their marriage when they read an exceptionally motivating book on relationships, or listen to a stirring sermon on the values of the marriage institution. But I wonder, how many of us pray for our marriages at all times? In the good times, when having a family feels wonderful, and in the stressed out times, when being a wife is frustrating or disappointing? I’m more than a little passionate about praying about for my marriage because I’ve seen what it can do so many times. I’m not just saying that. I have prayed very specifically about my marriage, and seen God answer just as specifically in ways that only He could. (I’d love to tell you more, but I’m afraid a whole book wouldn’t cover it!) 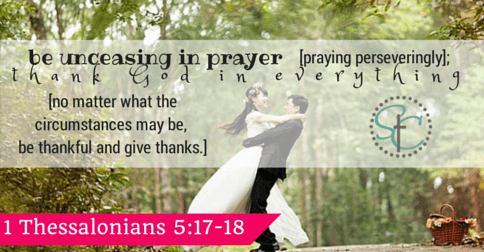 But here is the thing, I think sometimes, especially when marriages are in a state of newlywed bliss (aka sunshine and rainbows) we don’t know how to pray for our marriages. Things are going great, or at least not falling apart, and we think, “well, if it ain’t broke, don’t fix it.” And we let it go at that. But I believe (because the scripture in 1 Thessalonians tells us) that God wants us to be praying about all aspects of our lives all the time. After reading that verse, and experiencing answered prayers, I’m convinced that God wants us to “pray constantly” about our marriages. They may have been spoken nearly six years ago, but since I learned to pray with them, they rarely leave my mind! We chose traditional vows, for our wedding, but chances are you could adapt self-written vows to pray over your marriage just as easily! 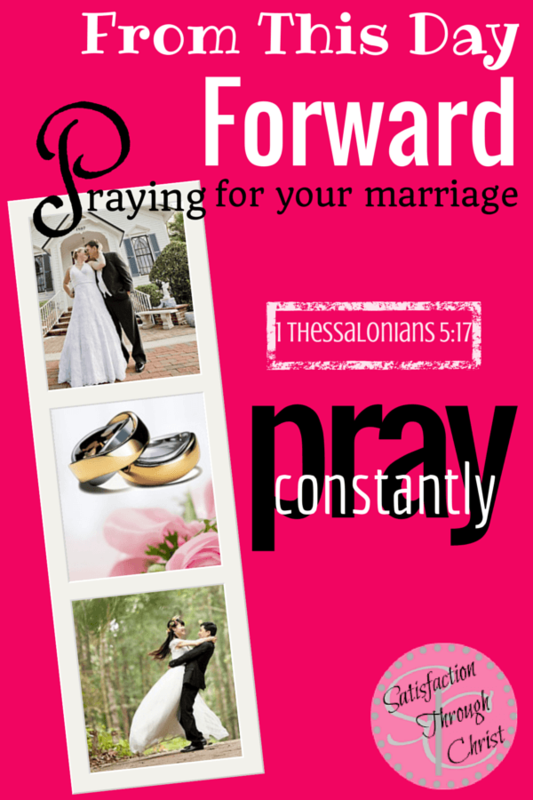 But for today I want to quickly share with you one of my favorite ways to pray for my marriage. It’s so simple, but when I pray this way, it comes from the deepest place, in my heart of hearts because of my love for my husband. You CAN pray …. your marriage vows! Let me pause a moment to say this; I’m not laying claim to a golden, got-it-all-figured-out marriage. Paul and I have walked through gut wrenching struggles, trust issues galore, and painful days of heartbreak. There have been moments that I have not felt “in love.” We have both been at fault and caused messes and battles, but the fact I chose to focus on is this – we have overcome those days and now work at having a healthy God-centered marriage. We’re able to claim this (and so enjoy this marriage!) because we prayed through those days, and we’re praying still! It was broke, we prayed, God fixed it and now we pray constantly. Does a healed or healthy marriage sound appealing? Print marriage vows with your names inserted. (Use pet names if you’d like to make it extra special!) Post them around your house, ask your husband to keep a copy in his vehicle to read often. Consider making a customized marriage vow prayer. Place it in a spot that you and your husband will agree to pray with each other every day! & to download and print! Will you start praying your vows, especially when you don’t know how to pray? Do you have a favorite verse that you pray over your marriage? Share it with us by leaving a comment! Bonus Tip: If your husband is interested, consider sitting down together and writing new, special, marriage vows as a “refresh” of your promises to one another. Then begin praying those over your marriage! Or stop by our popular Text Messages for Spouses post to get some encouraging and flirty texting ideas for your husband! We recommend these great Christian resources on marriage! 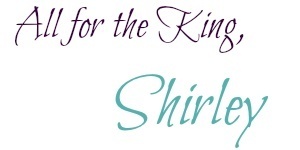 Shirley spends her days fulfilling her purpose of biblical homemaking and motherhood. She is wild about her husband, Paul, who shares her passion for encouraging young marriages. Together they are wading into a homesteading life on a few acres in south Georgia. Violet, thank you so much for your encouraging words! 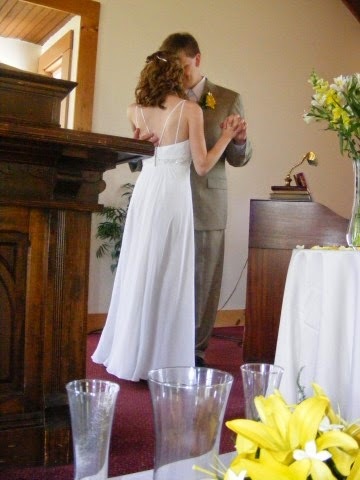 It is so nice to know that someone was blessed through my passion for marriage. I pray God’s favor and blessing on you and your fiance as you begin your marriage journey. Always remember, you don’t just make your vow to your husband-to-be, you make it to God in Heaven. 🙂 Be blessed, and most of all enjoy your big day! What a wonderful, blessed idea! Thanks for sharing this, Shirley. Blessings in Him.